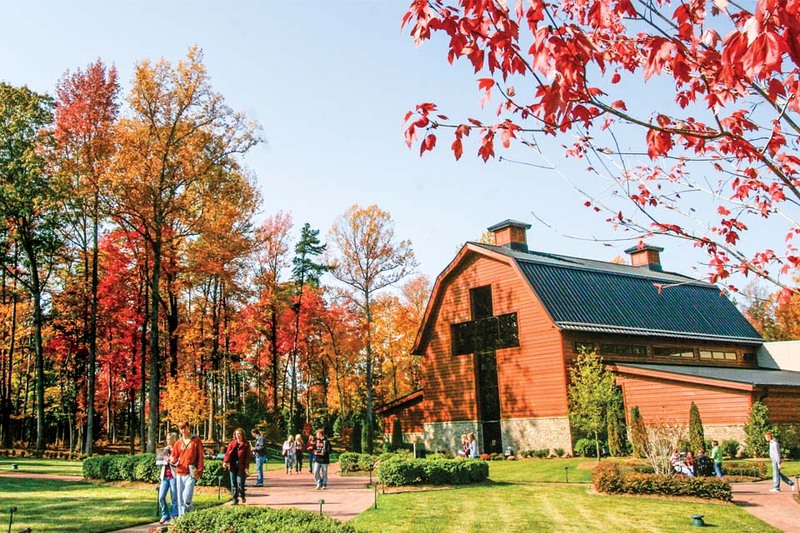 More than 1.3 million visitors have taken The Journey of Faith tour since the Billy Graham Library opened in 2007. Nov. 7 would have marked Billy Graham’s centennial birthday. The beloved evangelist went to his heavenly home on Feb. 21, 2018. Now that the Billy Graham Library in Charlotte, North Carolina, is the final earthly resting place for Billy Graham and his wife, Ruth Graham, more people than ever are visiting. Hundreds of millions of people heard the Gospel from Billy Graham throughout his nearly eight decades of ministry. This Good News continues to be shared through the Library, and visitors from across the globe are responding. There’s no cost to tour the Library and grounds. “Free admission is vital to the Library’s core mission, because the Gospel is free,” Billy Graham Evangelistic Association (BGEA) President Franklin Graham once wrote. To help ensure this ministry continues to remain free for future generations, BGEA is hoping to secure enough funds to complete the Billy Graham Library Legacy Ministry. Beginning on Billy Graham’s birthday, Nov. 7, and ending on the first anniversary of his home-going, Feb. 21, 2019, the goal of the Library Legacy Ministry is to accomplish two things: “It invests in the ministry here as well as freeing up resources for other ministries within the BGEA,” said Scott Holmquist, executive director of the Billy Graham Library. In turn, the completed Legacy Ministry would allow the Library doors to remain open and free to the public. That ensures the Gospel will be shared with many, many more people. More than 300 trained volunteers are a major part of sharing the Good News at the Billy Graham Library. That visitor, Ed Allred, couldn’t believe it. Answering yes, he thanked the volunteer. As a lay pastor himself, Ed knew it took a lot of courage to ask. “I know how difficult that is to ask people, especially those you don’t know, just out of the clear blue,” he said. Ed was so impressed by this interaction that he went home and began praying daily for that volunteer and all Library volunteers, the many ministries of BGEA and the Graham family. Nearly every day since, Ed has sat in a recliner in his small home office, reading Scripture, devotions and praying for two hours a day. This special time with God has become, well, addictive. On Oct. 25, 2018, Ed felt compelled to call the Library to encourage volunteers by letting them know he was praying for them daily. That same day, a family of four sat down with volunteer Bill James after going through The Journey of Faith tour. “We learned so much on the tour that we don’t want to leave here until we accept Christ,” the boys, ages 10 and 12, told him. “It’s like the lights came on and they needed this,” Bill said. The entire family, including their mother and father, prayed to commit their lives to Christ. When Ed found out about this, he knew God had affirmed his prayers. “I felt that God had touched me in a very special way, because I was praying for that gentleman [the volunteer] again and all other volunteers who had dared to ask that question,” he said. 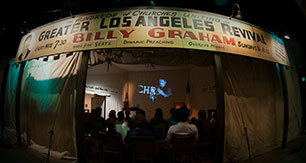 The Gospel message is woven into every part of the Billy Graham Library’s Journey of Faith tour. Since the Library opened in 2007, more than 1.3 million people have taken the tour and over 31,000 men, women and children have shared that they made life-changing decisions for Christ as a result of God working in their hearts during their visit. Want to donate to the Billy Graham Library Legacy Ministry? Make your gift here. Need more information about the Library Legacy Ministry? Call 1-877-2GRAHAM (1-877-247-2426). Through your gift to the Billy Graham Library Legacy endowment, you can help reach the spiritually lost and hurting for generations to come.